Hey everyone I am currently preparing to take the CCNA exam in a few weeks. I am currently in Texas, and have an interest of getting in to I.T for my career. This is my first attempt at a certification, next month I am going to take classes at my community college to get started on MCSE, CCNP, and A+. If everything goes as planned I should have my A+, Two of the CCNP tests passed, and Windows server 2003, and XP certs by the end of this year. 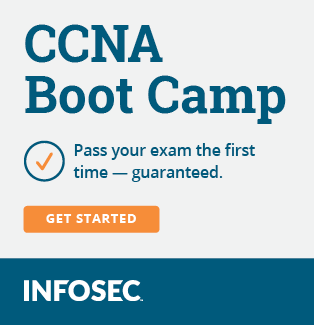 Assuming I pass my CCNA exam, I wanted to know the best way to get started I know I'm in a bad position, because I don't have direct experience with Cisco routers, and networks. I am currently working at a big phone company providing tech support for customers and technicians. I provide support in configuring their routers, email clients, internet, tv, and voip. This isn't a helpdesk position, and I am wanting to see if there is any way I can get a networking job, or system admin type job starting off without going through the helpdesk route. If I set up my own lab and configure routers at my college during the time I was taking the CCNA courses can I tell employers that is my experience? I unfortunately don't currently know the "right" people who can get me a job, I currently have to rely on sending resumes out. Any advice would be very helpful I would just like to know what all my options are, and the best ways of going about it. This is more of a resume writing question then an IT question. Look at your current position, past experience, and certs. If your education is the #1 thing that you have going for you then list that first. Beyond that - point out the things that you have done that would relate to the position that you want while drafting your resume. If you only have a cert, and you can't think of anything that you have done that would relate then emphasise things like teamwork, and attention to detail, etc... while writing about your previous positions. Thanks for your response. That does help me on how to write my Resume which I'm going to have to do soon. My main concern is being able to find a job with the experience I have now, with CCNA. Also, I just want to know if it's reasonable to think that I can find something that's in networking that pays decent(around $20/hr), and isn't a call center. doing the helpdesk route isnt bad if you can show you have the skill to move beyond it. ive seen a number of folks who start out as pc support who move up to do servers/networks/etc. not to sound bad, i havent seen many folks who started out at certain network support levels unless they knew someone who was willing to give them a chance. never give up though. What is it exactly? People call you and ask you for help with network problems...? Routers? Switches? in some shops, its the first level support for pc/laptop/application/mobile device/etc. the term is used (and by me) to cover waaaay too many job descriptions i suppose. if you are doing helpdesk at an isp, you probably would be getting router/switch questions. kind of depends on the support required. 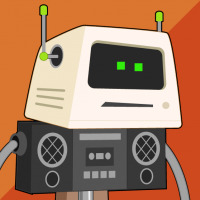 isp/home broadband providers will have folks helping people get routers/WAPs/etc working, while other types of companies the helpdesk might be fixing office apps, printers, pc/laptops. Q: "my computer isnt working!!!!" A: "hmmmmkey.... did you check that power cord is connected? did you press the power button? are the lights blinking?" Majority of problems are solved right there And if enduser does infact have some more difficult or should i say "real" problem then helpdesk can pass that request on to some "expert" who can deal wiht it. helpdesk is kinda ungrateful job because you are concidered not so knowledgeable and you have to deal with same dum questions over and over again and it gets boring real quick. This is general stereotype though... as someone said earlier it depends on company and on the type of field you are in etc. I would try and pick up a few OS specific certs MS/Linux. With CCNA and one or two of those (depending on the market where you live) you should have no problem picking up a Jr. Systems Admin / Jr. Network Admin job - right now it's rough where I'm at.